Just over two months into 2015, and a majority of the derby season is warming up for most leagues. There has been hardly any action in the top 40, with a little bit of movement in WFTDA Division 2 and 3. Some non-WFTDA events took place in February, showing off especially some incredibly talented states, and proving once again that derby in Texas isn’t only for the women of flat track. Wild West Showdown took place the last weekend of February, bleeding into March, a month which will kick off a busy season of league-hosted tournaments and invitationals. With all the action on the track, the WFTDA also had numerous announcements in the past 30 days. Among them were some house-keeping updates, more international member leagues announced, and games outside WFTDA tournaments being broadcast on WFTDA.tv. The top 40 rankings spots stayed relatively unchanged, with only a few ups and downs due to the 2014 February games falling off their total 12-month points. Demolition City fell below the Division 1 cut off, from #39 to #43, after playing two games in February. Their 245-97 win over Omaha (who was #66 at the time) was the only one that counted towards their ranking, though, because their 102-point deficit to Naptown was an unsanctioned loss. From Demo City’s move, the reshuffling of teams just barely edges Stockholm in as what we believe to be the second-ever European team to make D1 at #40. Sacred City, who has previously been a D1 playoff team, didn’t attend WFTDA tournaments last year, and dropped their rankings off into the 50s in 2014. They are gaining some upward momentum back with a 228-point win over #88 Junction City, and and impressive 231-97 unsanctioned win over #33 Wasatch, giving Sacred a boost to #49. The loss dropped Junction City six spots to #94 (palindrome!). Without playing any games, the Dallas Derby Devils also moved up six places to #50, likely due to three deleterious games expiring from last year. One of those games was a close 6-point win over Duke, who most recently sits at #115 after a fall of 18 places, with this release. The Calgary Roller Derby Association is showing up strong this year, and moved up seven spots to #53 at the end of February. One of their games from the Wild West Showdown last year expired, helping this boost, but they did also take a strong 447-point win over WFTDA Apprentice League, Thunder Bay, indicating their strength as a team. They just took two important wins at the inaugural How the West Was Won this month, so the March rankings will likely see another solid leap from them. Killamazoo fell one spot to #55, after their 42-point win over Grand Raggidy expired from last year, and their February win over the Twin City Derby Girls added in, 215-74. That loss took Twin City down five places to #88. While K’zoo picked up a bit of momentum in 2014, playing Ohio this weekend will provide a strong test for them at home. Omaha’s Skateaway Faye. Photo by Danforth Johnson. The Omaha Rollergirls have forged their way back over the Division 2 line from #66 after a 42-point win over Old Capitol City Roller Derby (another team to change their “G” to a”D”), and their loss to Demo City. This month boosted them to #59, while OCCRD dropped 4 places to #62. Also on the way up is Ft. Wayne, who first beat Killamazoo last month by 28 points, giving them a boost by seven places then to #79. This month they took on and beat Bleeding Heartland Roller Derby (who also changed their name in the last year) by over 200 points, dropping BHRD 13 places to #117, while Ft. Wayne gained six more. Both teams will take on Ann Arbor next month, and we will see if Ft. Wayne continues to rise. Some European teams made what on the surface may be seemingly random leaps in the rankings this month as well. Crime City, of Malmo, Sweden, climbed 7 spots to #82, which seems due to their 109-point win over Copenhagen last year dropping off. Kallio settled at #97 after moving 21 places, with no new or old sanctioned February games. They did beat Dirty River in an unsanctioned game by 107 points as part of the Suomi Cup, a National Finnish competition. The Gent Go Go Rollergirls, of Gent, Belgium, beat Rainy City (UK) by 22 points, contributing to a 23-place jump to #123. The Harbor City Roller Dames took the largest swing this month, with a 44-place jump to #125. Two wins contributed to this change, a 70-point win on the road over #151 Cedar Rapids, dropping them 14 to #165, and a 267-87 win at home over Sioux Falls, displacing them 18 spots to #137. Harbor City does have a fair few more games listed on their schedule, with their highest-ranked test being against #81 Fargo Moorhead in May. Pyscho Babble on the WFTDA track again. Photo by Void Pointer. A couple of unsanctioned games of note were held in Colorado in February. We had the recap on the non-sanctioned game between unranked Team United Roller Derby and Rocky Mountain, resulting with a 62-point loss for TU. Announcers for the bout called it a Strength Factor Challenge game, so with the schedule they have in place, they should likely be part of the rankings by May. They should enter Division 1 right away, considering Flat Track Stats has them ranked at #19 in the USA. And Pikes Peak took a 97-point win over Rocky’s B-team, the Contenders, flipping the 2:1 FTS expected point ratio to their favor. They also ended February with a 187-127 win over #33 Wasatch. This month they played a couple more games, this time sanctioned, so we will see where they end up by the end of March. Part of the reason for the recent success could well be Pyscho Babble re-joining PPDD this year, being her home town league. A range of women’s, men’s, and junior leagues took to two tracks in Bremerton, Washington, over the last weekend in February. Cherry City and Emerald City came out the most successful, both sweeping all three of their games, and each moving up in the rankings. Cherry City, from Salem, Oregon, jumped 29 spots to #143 with their 173-point win over Silicon Valley. The Snake Pit Derby Dames kept them to only a 3-point victory, making it the third sanctioned game for the Idaho team, but since it fell on March 1st, Snake Pit will see their first ranking at the end of the month. Emerald City gained 8 places to #86 with their 449-55 sanctioned win over #159 Bellingham, which dropped them to #163. They also beat Silicon Valley by 287 points, but those points will contribute to their March ranking. Post by Mo Quadzilla Sanders. Silicon Valley lost their three games, but one was only by 3 solitary points to Bellingham, dropping them 6 spots to #116. That was Bellingham’s only win, as they lost to Emerald and Cherry. As for the men’s games, Pugent Sound took nearly a 500-point win over Chinook City from Calgary, and a non-sanctioned win over the San Diego Aftershocks 212-88. The Aftershocks also took a big 3-digit win over Chinook, 494-110. The first weekend of February, the Pensylvania All-Stars hosted and won the Battle of the All-Stars in Hatfield, Pennsylvania. Ten states participated, mostly from the Eastern United States, and played 40 minute games for the first day and a half, followed by full 60 minute games as the bracket narrowed down on a winner. The final game came down to Pennsylvania over New York at 207-100. To read more about this tournament, we have recaps of Day 1, Day 2, and Day 3. 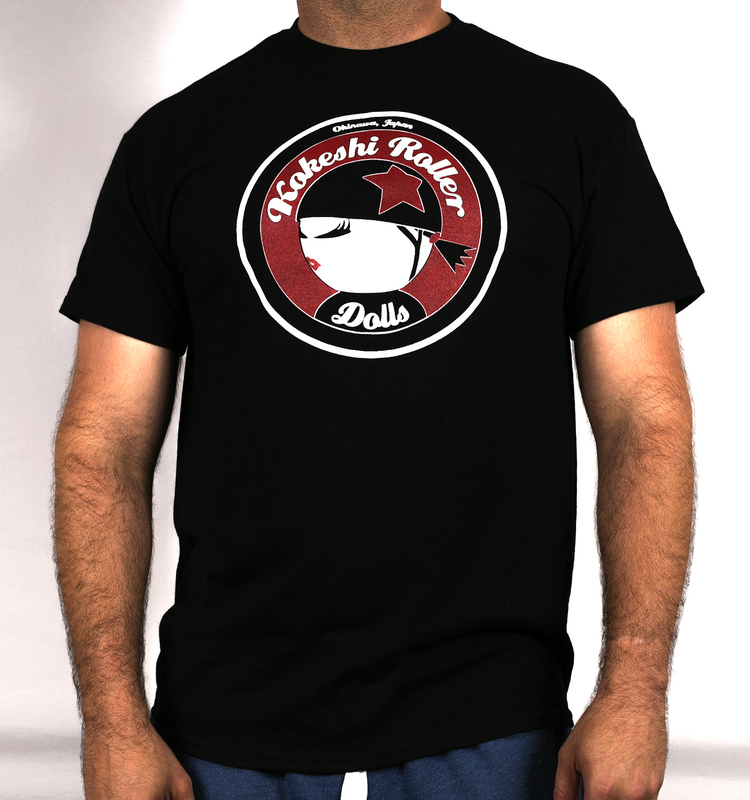 That same weekend, the newly minted Texas Men’s Roller Derby, hosted Texas Roll ‘Em in Denton. TMRD is made up of the former teams, Dallas Deception and the Denton County Outlaws. Their combined talents proved their strength over Collision Men’s Derby, from Raleigh, North Carolina, and the Magic City Misfits from Jacksonville, Florida with triple-digit wins. They currently hold the #6 spot in MRDA rankings, with Magic City sitting at #12 and while Collision is unranked within MRDA, Flat Track Stats has them at #38. Austin Anarchy, a new MRDA member league, was also in attendance, going 0-2 for the weekend. Texas vs Collision. Photo by Official-Sounding Photography. The WFTDA has released many items so far this year, especially in recent weeks, mostly to clean up the January 1, 2015 rules and corresponding documents. On February 10th, a few officiating updates were added, including a new official review hand signal, the ability of NSOs calling penalties and an optional inside whiteboard at WFTDA tournaments. Previously, when a team wanted to call an official review, they called a timeout (with the hands forming a “T”) and then asked for the review, which would then be corrected on the scoreboard. There was no defined hand signal for reviews, but referees commonly accepted the hands in the shape of an “O” as a request for an OR, and now it is officially so within the hand signal document. Referees have been the only officials to call penalties in the past, but now Non-Skating Officials can be granted the power to do so by the Head Ref. When authorized, they can call things related only to their specific position, such as Jam Timers dealing with a delay of game call, or Penalty Box staff addressing misconducts due to skaters crashing into their seat and the staff. They would use the proper verbal cue and hand signal, but use no whistle, to give the penalty. Since the removal of minor penalties two years ago, the inside white board was less crucial for keeping track of all the penalties. Tallying just “major” penalties, some leagues have already removed their white board from the center track for more clarity and less clutter during games. Now the standards and practices document no longer requires it during WFTDA tournaments. This change added a question to the Q&A section, which was announced with updated verbal cues on March 12th. Sorry Stan, you are no longer required. Photo from the Stan the IWB Stand Facebook page. The following day, WFTDA announced the removal of a long time pre-bout ritual, which always resulted in skaters getting to know their officials intimately. After discussion and a recommendation from the WFTDA risk management – they have decided pre-game equipment checks are no longer mandatory. With gear requirements and penalties associated with lack of gear already in place, it puts the responsibility on the team or skater to ensure they are participating safely. A league may continue to have officials check gear beforehand, but it is no longer required. Back on February 20th, WFTDA announced that WFTDA.tv would be allowing the opportunity for WFTDA and MRDA associated events to be broadcast through their site. Each quarter they will review applications and select a handful of games and tournaments to stream. To apply for games in the 3rd quarter (June 21st to September 20th), the deadline is June 1st. For a list of the technical requirements, check out the application here. This week they released the 2nd quarter lineup, which includes Quad City Chaos this weekend, hosted by Toronto Roller Derby. Another exciting one among the list is the upcoming The Big O, which will help show where some of the top teams fall this season, including Texas, Rose City, Bay Area, and Victoria. Lastly, WFTDA announced new member leagues this week, bringing the total to 308, with 84 still in the Apprentice program. Broadening the international reach, leagues from Spain and Austria put those countries on the map, and Australia continues their growth with Adelaide Roller Derby becoming a member, and Sweden with Gothenburg Roller Derby. This may be long, but is far from exhaustive. If you are interested in covering a game, event, or league near you, please contact us at derbycentral@gmail.com! The post February Follow Up appeared first on Derby Central.